The famous saying about diamond is that “Diamonds are forever” because a diamond symbolizes eternal love, purity and strength. Diamonds were formed at least 990 million years ago, although some are estimated to be as many as 4.25 billion years old. 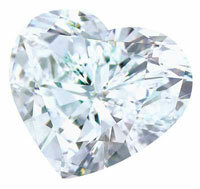 A diamond is known by its 4 C’s. There are four different characteristics- the Carat, the Color, the Cut and the Clarity. A number of large or extraordinary diamonds have gained fame, both as exquisite examples of the beautiful nature of diamonds, and because of the famous people who wore, bought, and sold them. A list of most famous diamonds in history follows. The origin of the diamond is unclear, although rumors abound. According to some sources, the Koh-i-noor was originally found more than 5000 years ago. Some mythological beliefs held about it are that the diamond was from the Sun God to his avatar which produces 1000 kg of gold daily. Krishna got the blame of stealing the diamond from the avatar’s brother who is killed by a lion. Krishna, to restore his reputation, fought a fierce battle with Jāmbavān and gave the stone back to the avatar. Now being ashamed with himself he offered his daughter’s hand to Krishna along with the stone. Krishna accepted his daughter hand but refused to take the stone. The Hope Diamond is a large, 45.52 carats (9.10 g), deep-blue diamond, housed in the Smithsonian Natural History Museum in Washington, D.C. The Hope Diamond is blue to the naked eye because of trace amounts of boron within its crystal structure. It is famous for supposedly being cursed. The legend holds that the original form of the Hope Diamond was stolen from an eye of a sculpted idol of the Hindu goddess Sita and the specific legends about the Hope Diamond’s “cursed origin” were invented in the early 20th century to add mystique to the stone. The Orlov (sometimes spelled Orloff) is a large diamond that is part of the collection of the Diamond Fund of the Moscow Kremlin. The origin of this resplendent relic – described as having the shape and proportions of half a hen’s egg – can be traced back to 18th century in southern India. 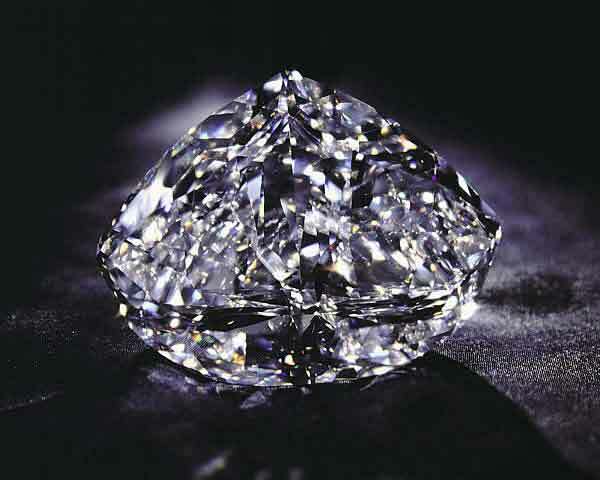 The particulars of the Orlov’s story have been lost with time, but it is widely reported that the diamond once served as an eye of the statue in a temple in southern India. The man held responsible for its removal was a French deserter, a grenadier from the Carnatic wars who apparently died after touching the gem. The Orlov is a rarity among historic diamonds, for it retains its original Indian rose-style cut. Its colour is widely stated as white with a faint bluish-green tinge. The Klopman diamond is a fabulous, legendaryand huge diamond, said to have a curse associated with it. Due to the use of the name “Klopman” and the somewhat dark humor, and the fact that it was one of Myron Cohen’s standards, this joke is sometimes characterised as Yiddish in origin. Some commentators maintain that names other than Klopman would not be as funny, and point to the fact that this joke has survived essentially unaltered for decades. Exceptional article, Folks, i myself love designer jewellery very much, most definitely Tiffany & Co silver, that’s what I indulged in. With all your piece of writing, I think alot more young women will know the true design about what jewellery would bring. Appreciate your wordpress blog.